Fanuc A20B-1000-0800 IN Stock Today. Available from UK Stock for exchange, new, surplus also repair service and testing all with fast in-house Technical Support. We deal with companies based in England, Europe, Australia, Far East, Canada, United States, South America etc. Our preferred shipping partner is UPS. shipping costs and times will be advised when ordering. or if you need to collect or have us deliver same day distance from major UK cities below. Coventry 123 miles, Leeds 20 miles, London 209 miles, Manchester 28 miles, Milton Keynes 160 miles, Sheffield 48 miles, Stafford 90 miles, Scotland 289 miles, Swindon 194 miles. More about shipping times and prices. We maintain a large inventory of Genuine FANUC Original spare parts new, refurbished, second user and exchange also direct replacements such as LCD Monitors in our warehouse. In-house experienced technicians offer fast and reliable repair service on most FANUC PCB boards, servo and spindle drives, amplifiers and power supplies. We’re here to help you now when you need it. Every customer is provided with guaranteed response times to ensure we resolve any issues or make repairs in a timely fashion. We have facilities for testing of even older FANUC systems such as System 6, 10 and System 11 up to 21I series controls. Dedicated CNC simulators are available for these operations. Our technical & sales staff are highly talented and experienced engineers we offer technical support via phone and email to help you diagnose faults backed up by our test and UK repair center. Our Engineers are trained at FANUC and have degrees in Electrical and Electronic Engineering BE, BSC & HNC Level. with a wealth of experience in the CNC machine tools industry. 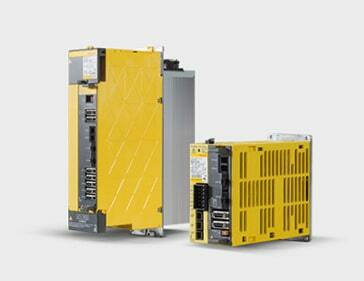 Contact us today to discuss your Fanuc A20B-1000-0800 Requirements. Call us, we're ready to assist you with Fanuc equipment. Save Money, our OEM Spare Parts are at Least 50% Below the high Manufacturers Prices. We offer a quick response. In most cases, we can even achieve same day shipping to get your machine back up and running fast! Machine down, need Fanuc spares ?! Enter your details below and we’ll contact you. We are an Independent Fanuc Specialist. We are not affiliated to Fanuc UK, Fanuc Ltd or GE Fanuc CNC Automation. Monday To Thursday 8:00am - 5:30pm. Fri 2pm. Please email or fax out of hours. © Pennine Automation Spares. All rights reserved. We are an independent Fanuc CNC Specialist.